Our team at Glenwood Springs Ford understands the importance of community and giving back. 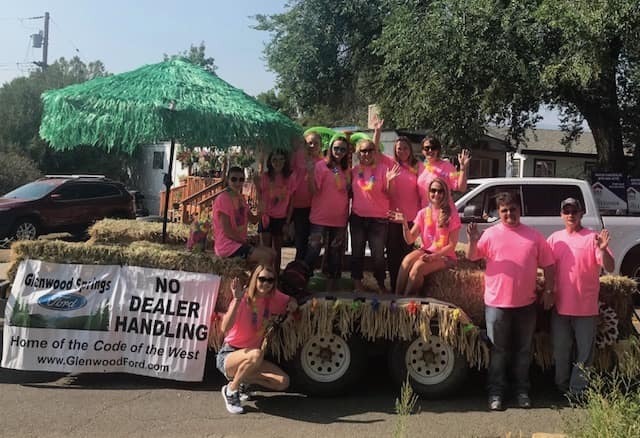 While we’re committed to providing our community with auto services and an inventory of exceptional vehicles, including the award-winning Ford F-150, we know that making an impact on Glenwood Springs citizens also means supporting important causes. From high school fundraisers to 5k events, we’ve show our support for our community from Grand Junction to Eagle for over 40 years. If you have any questions about our involvement in the above community nonprofits, or our auto services, contact us at Glenwood Springs Ford!